From a woman who has had multiple miscarriages. The emotional writing of a woman who has had three miscarriages in eight months. 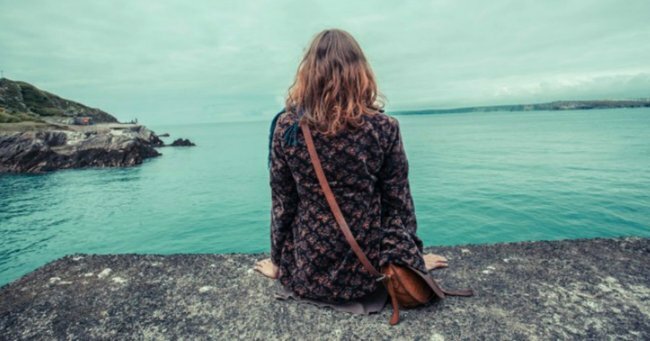 A miscarriage is possibly the most emotionally complicated and fraught experience a woman can endure. An exciting planned future becomes a nightmare and the suffering, I assume, lasts a lifetime. My husband and I met when we were both 16 years old. From such a young age we were in love and knew exactly how we wanted our lives to eventuate; this year we will be marking 11 wonderful years together. Our love has been described by many as a fairy tale, with each day lived in love. Like many I am extremely maternal and have always dreamt about becoming a mum. I am lucky enough to work with children everyday as a preschool teacher and my love for them is immeasurable. So why did we decide to keep this a secret from our family and friends? I guess we felt the need to protect those around us. To share only happy news and not our heartache. One secret unfortunately became two secrets and with an imminent third, enough was enough. &apos;It got to a point where it became too much.&apos; Image via iStock. Our journey began in June 2015. My husband and I found out, through tears of joy, that we were expecting our first baby. Our first scan showed everything but a heartbeat and because I had just come off the pill we were unsure how far along I was. It was decided that perhaps everything was a bit too early to tell but a second scan confirmed the worst. Our OB/GYN gave us three options for management and we decided to wait and pass naturally. Unfortunately my body continued to think I was pregnant and at the 10-11 week mark I began to miscarry in the most horrific of circumstances. I was rushed to emergency and after a long few hours it was decided that I needed a D&C. In December 2015 we found out we were pregnant again. Unfortunately this glimmer of hope was dampened with more bad news. This time we decided to book in for a D&C straight away as we were still suffering the emotional trauma of our last experience. In February 2016, with no returned period since December we took a pregnancy test to reveal that we were once again expecting. But the scan revealed otherwise. What was found was most likely retained product from the last pregnancy. It ended up being a two week long investigation discussing possibilities of an AVM, molar pregnancy or RPOC. With multiple ultrasounds and blood tests the doctors were confident to proceed with a hysteroscopy and curette. 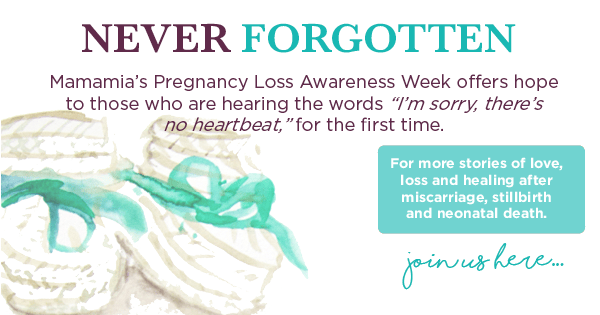 This week, as part of Never Forgotten: Mamamia&apos;s Pregnancy Loss Awareness Week we&apos;re remembering the babies we&apos;ve lost. Post continues below. I lie in bed, writing about this as I recover from Tuesday’s surgery. Three general anaesthetics replaced the chance of three babies. On top of everything, I am now being investigated for coeliac disease – recurring miscarriages a symptom of this disease. It got to a point where it became too much. My husband is going through the exact same thing and I believe we both needed a “break” at being the strong supportive partner. Our reasoning for not telling our parents was that in a perfect world we would be sharing with them that they would be first time grandparents. But now, since telling them one week ago their support has been incredible. So much so, that my parents and brother flew up to Sydney to be with us. It has come to a point where I am now de-sensitised to it all. Someone labelled it bravery, but really I’m just over it. I hope and pray that my husband and I will soon see the back of all this and can look forward to welcoming a healthy baby in the near future. I hate the fact that my future pregnancies will be clouded with fear. I worry that I will never feel a sense of excitement, unlike what many others feel upon finding out. But I have to keep reminding myself that I am not alone – it’s just that we (women) don’t talk about it. Physically and emotionally it is draining, and in my experience I had some very dark days. I now know the importance of sharing these hurdles with family and friends so that they can support you in your time of need. It never helps when people say, “At lease you’re still young” or “Hurry up and have babies” or “You must be next”. No one knows your story. And if they are like me, they won’t share either ever or until it gets too much. Be mindful that this is very common amongst women and hidden heartache and suffering is often the case. I am always telling myself to envisage a positive future – and lucky for me I have the best partner in love and life to journey through this with me. To him, I love you with all my heart – it will be our turn soon.